Featuring: Alan Parsons, with MIDI founding father Dave Smith and Abbey Road orchestral engineer Simon Rhodes. MIDI began life as a keyboard-aid but it went on to help establish the digital revolution that has transformed to entire recording landscape. Alan talks to MIDI founder Dave Smith, then looks at the ways MIDI recording is still widely used in film, dance music, and many other genres. 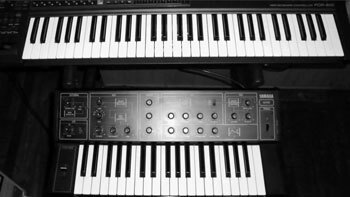 The section explains exactly what MIDI is, and can do, in simple terms, beginning with a ‘words of one syllable’ explanation of exactly what MIDI is (Musical Instrument Digital Interface–and simply a control language) and how it works. Alan looks at the value of recording ‘in MIDI’ as opposed to recording ‘audio;’ playing a keyboard live into a DAW so you can hear and see exactly what the differences and benefits are. Film composition is particularly suited to MIDI composition because cues and timings can change minute by minute and it is hardly practical to re-record a symphony orchestra every time the director or distributor shaves off a few seconds during the edit. 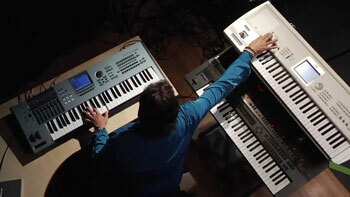 Alan talks about this to senior orchestral engineer Simon Rhodes (during the time he was working on the Avatar soundtrack with James Horner) and discusses the relationship between MIDI and ‘real audio’ in this world. MIDI lurks beneath almost every piece of music software from GarageBand to ProTools; AutoTune to Ableton Live. This section looks at all MIDI’s most important applications in modern recording, providing not only a compelling list of reasons why this often misunderstood subject merits further investigation but also a series of practical ‘MIDI Demos’ that you can and hear in action. In some ways MIDI is like electricity; not particularly exciting in itself, but incredibly exciting when you consider all the things you can do with it. It’s certainly possible to make recordings without understanding MIDI but as this section shows, a whole world of opportunities opens up once you lift the lid on this Pandora’s box.